Glencoe is said to be haunted following the massacre of the MacDonalds. Murder! Massacre! Betrayal! Treason! Glencoe is one of the most spectacular areas of unspoiled wilderness in Scotland. There is a haunting quality about the moor-clad mountains that stand as sentinels over the eight-mile long glen which runs from east to west along the northern border of Argyll. 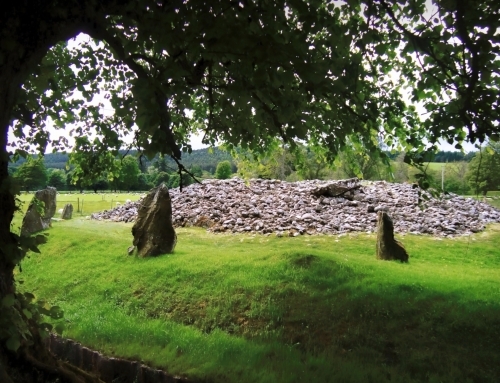 And there are those who say that the glen is haunted for this is the ‘Glen of Weeping’, the site of one of the greatest atrocities in Scottish history. Scotland has a grim and dark history at the best of times. Murder has always been considered the foulest of crimes in Scots Law. But in the Highlands with its strict code of hospitality, there is a more heinous crime. It is called ‘Murder under Trust’. That is why the massacre of Glencoe has reverberated so strongly through the ages and why the spirits of the slain MacDonald clansmen are said to return to the ‘Glen of Weeping’ each year on the anniversary of that fateful day, 13th February 1692. Clan Donald was once a huge force within the clan system. At one time, the chief of Clan MacDonald had held the title Lord of the Isles. This title had emerged from a hybrid of Viking and Gaelic rulers and although they swore allegiance to the Kings of Norway, Ireland and Scots at various times, they remained functionally independent for many centuries, operating as a state within a state, on the west coast of Scotland. King James IV of Scots stripped the Lord of The Isles of his title in 1493. By the seventeenth century the MacDonalds were bit players, full of pride and heritage and not much else. Their lands and titles had been systematically removed and given to their neighbours, the Campbells. The Campbells were a wily and politically savvy band who were Highland at heart but were equally at home fraternising with the Lowland nobility. The enmity between Clan Campbell and Clan Donald was, at least utilised, if not fully orchestrated by the British government to maintain a balance of power between the clans. The MacDonalds of Glencoe or the MacIains as they were more specifically known as, were a small branch of Clan Donald. Glencoe had been home to the MacDonalds since the early fourteenth century when they supported Robert the Bruce. Unlike the Campbells, The MacIains had no titles to lands and the Campbells were technically their landlords. At the time of the massacre the chief of the MacDonalds of Glencoe was Alastair Ruadh MacDonald known as MacIain. He had a rather imposing appearance: a huge man with a flowing white beard and moustache. He was very much an old-school highland chief: well respected by his own clan and feared by others. He had two sons: John, married to a MacDonald of Glencoe and the younger Alasdair, married to a Campbell who was a distant relation of Robert Campbell of Glenlyon. It was this Robert Campbell who led the company of soldiers into Glencoe to do the government’s dirty work. Now the MacIains were by no means angels and they carried out cattle thieving as a large-scale enterprise. They were constantly in trouble with the law and with their neighbouring clans, especially, the Campbells. A quirk in Scots law made the landlord liable to pay for losses incurred by their tenants cattle rustling. There was little love lost between Clan Donald and Clan Campbell. It is easy to assume that the massacre at Glencoe was yet another clan skirmish. Glencoe was so much more than this; it was the planned and premeditated elimination of a community by government soldiers. 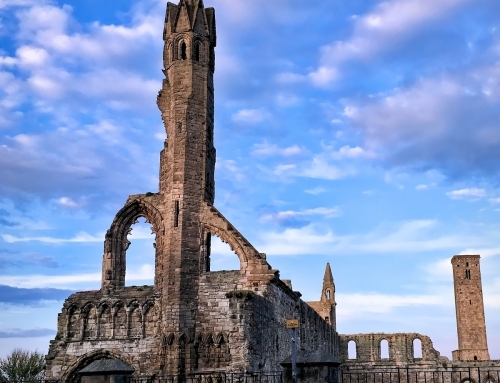 Seventeenth Century Scotland was steeped in religious conflict, where a person’s identity was determined by their religion. When James VII began to reinstate Catholics into key offices, there was a protestant backlash which lead to the Glorious Revolution of 1688. James was defeated and fled to France and the shelter of Louis XIV. His protestant daughter Mary and her husband, William of Orange were placed on the thrones of Scotland and England. His supporters, known as Jacobites, rose in his defence but suffered huge defeats at the Battles of Killicrankie and Dunkeld in Scotland and the Battle of the Boyne in Ireland. Many of the Clan Chiefs were Jacobite sympathisers and could command large companies of fighting men should the need arise. The Highland Clans were not high on William of Orange’s list of priorities, but he could ill-afford an uprising in the north as he was fighting with the French in Flanders. He offered indemnity to any of the Highland chiefs who would change allegiance, in the form of a shared £12,000 bribe. The man used as the King’s emissary was John Campbell of Breadalbane, a slippery and complex character. But then these were complex times. In 1691 he send out a summons to the Jacobite leaders, including MacIain of Glencoe, to come to Achallader Castle where he put forward William of Orange’s proposals. It soon became apparent that MacIain was not going to get his hands of any of the bribe money. Breadalbane implied that his share of the money would be used to pay off his cattle thieving debts. However, things took a strange twist. Breadalbane’s true allegiance became apparent as he revealed a second treaty. They would broker a second deal with King James. The Jacobite chiefs sat up. Breadalbane proposed that if James II came back with the French army then the oath to William and Mary would be torn up and they would automatically back James again. This almost satisfied the chiefs, but they wanted permission to sign from the exiled James. King William had assured them there would be dire consequences for those who didn’t sign by the 1st January 1692. They didn’t want any trouble from either side. So a letter was drafted and sent covertly to James in France, while the deadline for signing the oath marched towards them. Thus, began a chain reaction of events that would finally culminate in the Massacre of Glencoe. The man who would ultimately give the death order on the clans-folk of Glencoe was John Dalrymple, Master of Stair. He was a dominant force in the Scottish parliament. He had served as Secretary of State for Scotland under King James but had played a pivotal role in bringing about the ascension of King William. William rewarded him by making him the Lord Advocate and in 1691 made him joint Secretary of State for Scotland. Stair was a cold and calculating man, who had his own agenda. He wanted to be the sole power! Stair was a Lowlander and despised Highlanders. He considered them to be rebellious savages. News reached him of Breadalbane’s double dealing and determined that he would make an example of one of the rebel clans. He sent government troops to Fort William long before the deadline was met, in anticipation that one of the Chieftans would default. When King James realised that he was not about to get armed support from the French King, he sent a message to the Clan Chieftans to transfer their allegiance to King William. The message reached Edinburgh on 21st December 1691. The clock was ticking. Time was running out for the Highland chiefs. The message was sent to Atholl and then onto Glengarry. 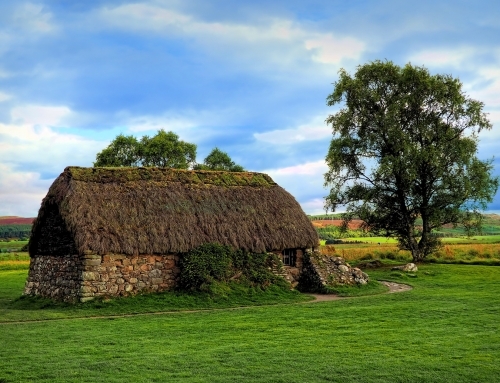 In the typical bravado of a Highland chief, Glengarry detained the messenger for several days, leaving the chiefs of Lochleil and Keppock with only 24 hours to sign the treaty. Alas, there was no way that Glencoe could reach the Sherriff at Inveraray in time. In a seemingly shrewd move, MacIain set off for the army barracks at Fort William. He met with Colonel John Hill, governor of the fort, who signed a letter, stating that he had arrived within the proper time frame to sign his allegiance. However, he sent him on to Inveraray. MacIain had to cut across rival Campbell lands and was arrested and detained by Campbell redcoats. Released, by virtue of Hill’s letter, he made it to Inverarary on the 2nd January 1692 but the sheriff, Colin Campbell was not there! At last, the Campbell returned and accepted MacIain’s signature. MacIain returned to Glencoe, thinking that danger had been averted. His problems were only about to begin. A packet with the signatures arrived in Edinburgh in mid- January. The Privy council decided to remove MacIain’s name from the list of signatories. When Dalrymple received word that his name had been removed from the list due to a ‘technical fault’, Dalrymple was gleeful. He had found his example. 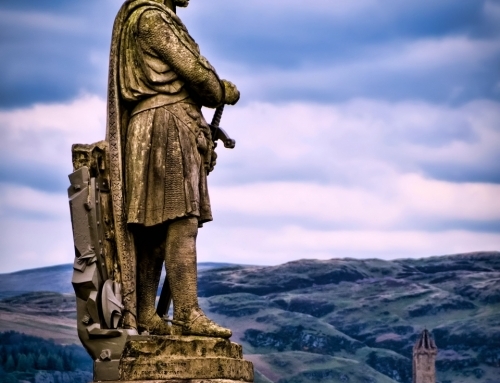 He wrote: ‘just now my Lord Argyll tells me that Glencoe hath not taken the oath, at which I rejoice.’ Several other chiefs had not come in to sign the oath, but they were too powerful, and Dalrymple dared not move against them, for fear of causing a massive Highland uprising. The Master of Staoir decided to take punitive action against one small clan: the MacIains! He said that this was the proper season to maul them. It was an act of official policy, conceived by Dalrymple, executed by a Scottish commander-in-chief, approved by the King and carried out by a regiment in the British Army. The Argyll regiment was deliberately chosen by Dalrymple, knowing of the enmity between the two clans and how it would be perceived. Word was sent to Hill at Fort William to eliminate the MacDonalds of Glencoe. Two officers planned the details: Major Duncanson and Lieutenant Colonel Hamilton. On the 1st of February 1692, two companies of men marched into Glencoe, led by Robert Campbell of Glenlyon. He was a captain in the Earl of Argyll’s regiment and was a cousin to Breadalbane. At 60 years old he had never made it higher than captain. He was not a successful man. He was a heavy drinker and an inveterate gambler who had lost much of his family’s inheritance. Historians have speculated that this man was chosen especially for the job because of certain weaknesses in his character, and because no one would care if he took the fall. An even more cynical reason presents itself: Glenlyon was related to MacIain. The betrayal would be all the more acute. At first the MacDonalds were suspicious but they assured them that they were on their way to Glengarry to forcefully collect unpaid taxes. Their story sounded plausible and as the weather declined, the soldiers were billeted throughout the glen in the clans-folk’s homes. Highland hospitality was a thing of great honour. Once someone was taken under your roof, your friendship was sealed. For two weeks the clans-folk and soldiers lived together. The exact time for the killing to begin was given: 5am, some two hours before Duncanson and Hamilton were to arrive, thus insuring that the dirty work would be done by a Campbell. That night a blizzard howled through Glencoe. As the clan slept, the house guests gathered, received their orders and set about systematically killing everyone they could. In the morning thirty-eight MacDonalds lay dead, including their chief MacIain. Many escaped into the hills, some finding shelter before the elements took hold. Many died of exposure on the mountainside, including MacIain’s wife. No-one can be certain how many souls perished in the hills that day. Estimates range between 40 and 300. Before nightfall on the 13th February, some of the survivors ventured down from the mountains to bury their dead. The clan chief and his close family were taken to the MacDonald burial ground, the island of Eileen Munde on Loch Leven. Others were buried in and around the glen. Dalrymple, when he heard the news that the massacre had not been complete, that two of the ‘old fox’s’ sons still lived, was livid. He wanted to prove to the king that he was the man to control the Highlanders. He wrote letters ordering that the survivors be hunted down, sent to the plantations or killed. His orders were never carried out. His vengeful, unrepentant attitude was not shared by others, who were horrified at what had happened. Colonel Hill too seemed indifferent, despite recognising MacIain’s desire to make the oath. He wrote to the Lord Chancellor of Scotland in a military report that he had ‘ruined Glencoe’, among other business. If he had misgivings he didn’t share them. Breadalbane panicked because he knew that the finger of blame would be pointed at him because of his secret treaty. He asked the MacDonalds to sign a document exonerating him. He received no reply. Glenlyon was forever haunted by the blood on his hands. He tried to drown his sorrows and during a drunken stupor in an Edinburgh ale-house, lost the written orders from that fateful day. Journalists picked up on the information with interest and had the orders sent to Paris. There it was published in the Paris Gazette and news spread across a shocked Europe of the atrocity. It was not just going to go away. Charles Leslie, a Jacobite barrister, tabloid pamphleteer and political propagandist decided to investigate the episode. He was meticulous, collecting documentary evidence, talking to the soldiers and recording eye-witness accounts. Parliament attempted to dismiss his findings as a Jacobite conspiracy theory. Queen Mary, however, began asking questions. King William was forced to hold an official enquiry. But the king was not completely exonerated and so it was never published. In 1695, the year following Queen Mary’s death, there was another enquiry. The second enquiry went further. It concluded that an act of treason had been perpetrated on the people of Glencoe by their own government. But who was to be held to account for this crime? It was decided a ‘mistake’ had been made by not accepting MacIain’s oath. The King was once again spared from blame. Dalrymple was judged to have ‘wrongly interpreted’ the king’s wishes. He was dismissed from his post as secretary of State for Scotland. Not long after, through the revolving door of politics, Dalrymple was back in office. After William’s death in 1702, he played a key role in developing the ‘Union of the Crowns.’ There are those today who would claim that this was his second act of treachery against the people of Scotland. Breadalbane, because of that secret oath with James, was charged with treason, but he was later released from prison as it was recognised that he had been used as a scapegoat. His political career was damaged. He got involved in the Jacobite uprisings of 1715, but was accused of syphoning money from that cause into his own pocket. The axe fell heaviest on Robert Campbell of Glenlyon and the other officers involved that day. They were found guilty of ‘slaughter under trust’, despite the fact they were acting on the orders of their superiors. Parliament recommended they stand trial. In the end no one did. Robert Campbell of Glenlyon died of alcoholism. It was recommended to the king that Major Duncanson and Lieutenant-Colonel Hamilton should also be made to answer questions. The king declined to act. So it was, that those who were responsible for organising the murders were pardoned by the king. One became a colonel, another a knight, a third a peer and a fourth an earl, which is not surprising as William had signed the orders. As for the MacDonalds, they returned to their glen, they re-built their houses and re-settled their families. John MacIain, eldest son of Alistair, became the 13th Clan Chief, building his home on the site of his father’s house. As for those who lost their lives, it is said that they are unable to rest in peace and haunt Glencoe to this day. 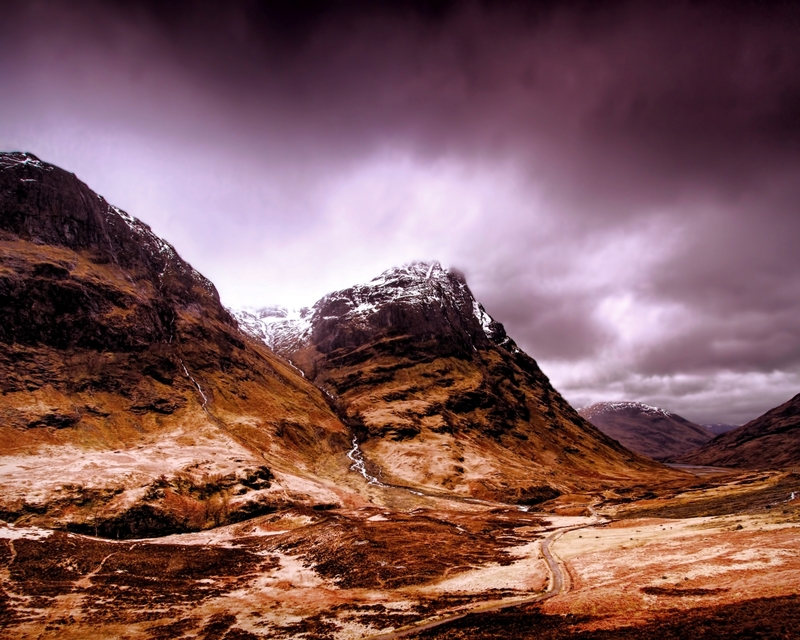 Winter is the time to visit Glencoe in its ghostly grandeur. The low-lying sun makes the mountains appear at their starkest and most forbidding. Shifting mists create an eerie, otherworldly quality to landscape. However, early on the morning of the 13th February, the anniversary of the massacre the melancholy presence of the murdered MacDonalds is felt most keenly. On this day, people have claimed to have glimpsed ghostly shadows of the fugitive clansmen crouching amongst the crags. Some have even claimed to see the massacre re-enacted or to have heard the plaintive cries of those who perished. It is said that the atrocity could have been even more extensive were it not that the caoineag of the MacDonalds was heard wailing on the eve of the Glencoe massacre. Hearing her cries, some of the clan members took warning and fled into the mountains. In Celtic mythology there are many tales of the washer woman or the ‘bean-nighe’. These harbingers of doom come in two varieties: the banshee and the caoineag. The appearance of a banshee at a river or stream is an omen of an impending violent death. She sings or wails a lament while washing the bloodstained clothes of those about to die. The caoineag in invisible to the human eye. Her presence is revealed by her heart-stopping wails. 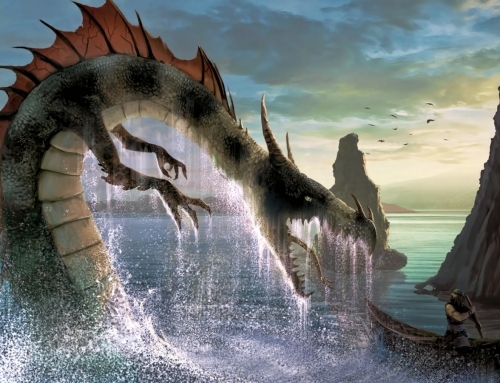 She will be heard crying at a waterfall on the night before calamity overtakes her clan. For 300 years, the nine of diamonds in a deck of playing-cards has been known as ‘The Curse of Scotland’. A number of stories have been proposed to account for this but perhaps the most persuasive is that the family crest of the Dalrymples of Stair contains nine diamonds in it.